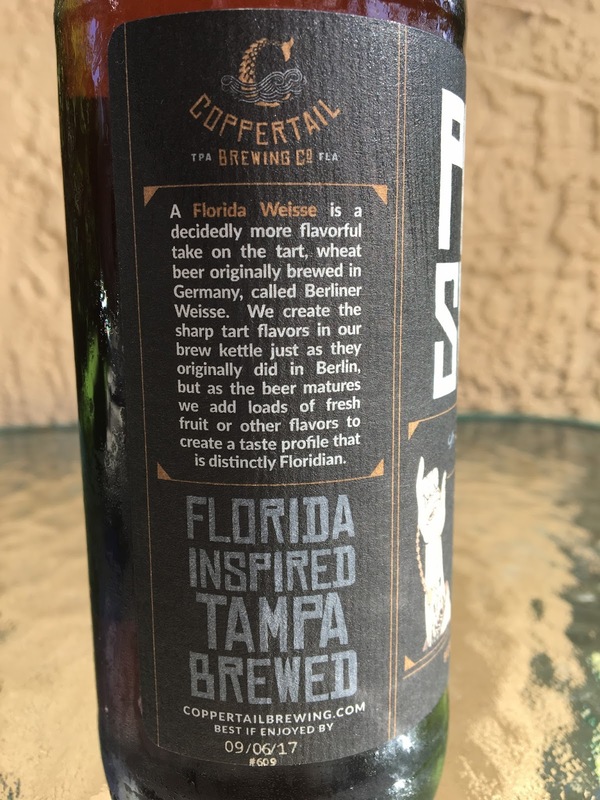 Tampa's Coppertail Brewing recently released the next beer in their Florida Weisse series. 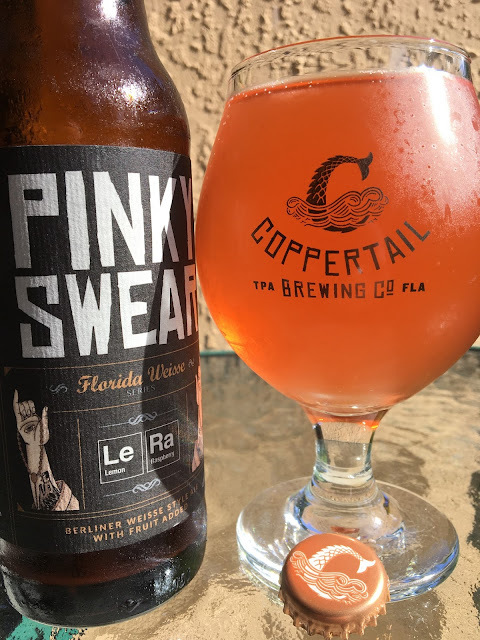 Pinky Swear is brewed with Lemon and Raspberries to enhance the already tart flavors of their Berliner Weisse. Le and Ra are boxed on the periodic table of ingredients on the label too. 3.5% alcohol. Best By 09/06/17. Pairs Perfectly With... a wooden rocking chair on a porch! Fruity aroma, raspberries, but not in your face (which I wanted). Totally get the tart raspberry flavors from the first sip. And an excellent lemon bite follows. 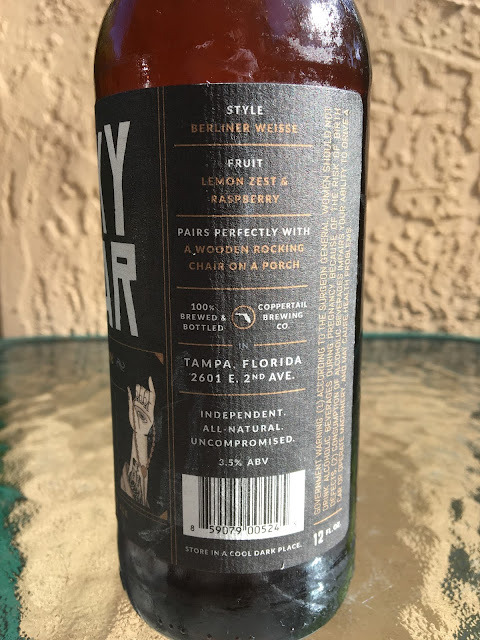 Those flavors work perfectly together and with the Berliner base! Not overly tart. The combination of salinity and prickly carbonation really enhances the excellent fruity additions. Love this series from Coppertail. The style takes a little getting used to but I love how refreshing it is. The tartness is sharp enough yet tame enough. Check it out!